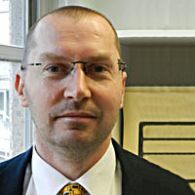 Dr Darren Pullen JP is a Lecturer in Health Science and Information and Communications Technology in the College of Arts, Law and Education, and is currently based in the Faculty of Education. He is interested in the role that technology plays in our lives, learning and work practices; in particular the role that technology plays in health. Darren's field of study and practice has centred on working with multi-professional teams including practitioners, managers, ICT technicians and end users in effecting integrated organisational development and change. Darren has worked in various community health sectors, including palliative care and disability before transitioning into health promotion and education and currently a university academic and administration role. He is the recipient of several prestigious community nominated awards, University research and teaching awards, including a Vice Chancellor’s Citation for teaching excellence and awards for outstanding contributions to research. He has also been awarded a highly prestigious Australian Government Department of Education and Training Citation for enhanced and continued excellence in Tertiary education. At the University level Darren has been a Course Director, Course Coordinator, Professional Experience (placement) Coordinator and has held several roles within his Faculty and the University in initiating and directing technology-based changes. Darren’s voluntary contributions to the community spans many years and includes past roles such as being the President of an Independent School P&F and parent representative on a childcare committee. Currently Darren is on a Board of Management for the Mental Health Council of Tasmania as is their Treasurer and Chairperson of their Audit & Risk Committee; he is on the Board of Governance for a State-wide not-for-profit education and care organisation; volunteer firefighter and former Brigade Treasurer; Justice of the Peace, and committee member of The Honorary Justices' Association of Tasmania Inc.
With formal qualifications in health, education, administration, technology and a research PhD Darren brings a strong education, research, governance and service philosophy to his career and voluntary roles. Certificate of Justice Studies, TAFE Queensland, Australia. PhD 'Australian students' information and communication technology (ICT) use in middle school and at home', University of Tasmania, Australia. MMedSci 'Healthcare professionals learning online: a case study review of educational effectiveness', University of Tasmania, Australia. BEd University of Tasmania, Australia. GradDip Administration & Information Systems, University of Central Queensland, Australia. Former Academic Manager for a UTAS SLiMS and Faculty of Education Unit Outline Management Project. Previous employment has been in Health and Training in which I have managed Medical Education Programmes for General Practitioners, Coordinated community health services and education. Darren's teaching expertise and unit coordination is in the areas of ICT, health and well-being. He currently teaches into the Bachelor of Education; Master of Teaching and Master of Education programs. Darren's teaching background ranges from K-12 and tertiary education through to coordinating professional development and conducting research and training in the medical and health care sectors. 2018 Certificate of achievement in the Tasmanian Community Achievement Awards: Heather & Christopher Chong Outstanding Achiever Category. The role that Science and Technological Studies (STS) play in contributing to our understanding of ICT and organisational change, particularly exploring socio-technical phenomena relating to the implementation and use of information and communication technologies. Understanding how wellbeing can be enhanced through the use of technology. Darren's research aligns to the University's research themes of Better Health and Data, Knowledge and Decisions. His research interests include understanding how technology and humans interact, the management and understanding of wellbeing with a focus on how technology can assist us to manage our health. Darren's research into technology has spread to working with schools and health care organisations, to assist them in understanding current technology practices and possibilities. Darren is also researching school wellbeing from the perspective of staff, students and parents. Darren's current research interests and published PhD are in the role that Science and Technological Studies (STS) play in contributing to our understanding of ICT and organisational change, particularly exploring socio-technical phenomena relating to the implementation and use of information and communication technologies. Darren is currently working with Dr J-F investigating resiliency among Australian school students in partnership with Resilient Youth Australia. Darren is currently working with Dr J-F investigating resiliency among Australian school students in partnership with Resilient Youth Australia. Together with a colleague from a Malaysian University Darren is investigating Malaysian pre-service teachers' use of mobile phones for university study. Darren has published widely in national and international publications and conference proceedings. He has taken two broad steps to disseminating his research. First in peer reviewed publications for academics and educational leaders and second in professional association journals for school-based teachers. This approach ensures that continued research and debate continues and that research findings are available at the local 'coal face' of education. In addition to journal articles Darren has co-edited 4 books, authored 1 and contributed 9 book chapters. In addition to writing Darren is an article editor to several national and international technology-based journals. Darren has been the recipient of a University of Tasmania Teaching Development Grant and a Faculty of Education Research Grant. This project will analyse data on student wellbeing and its relationship to their academic performance. All students completed a wellbeing survey that was delivered by the school previously; the survey captured baseline symptomologies among high school students, which provided insights into the psychological wellbeing of students. The survey was developed using three standardised psychometrics to accurately capture - developmental strengths, psychological resources, bio-behavioural aspects, environmental forces and socio-cultural influences. Understanding student wellbeing can lead to better understanding their needs and supporting needs. Such a holistic approach is hoped to improve academic performance. However, the school does not have the required skill set to fully interpret the survey results nor to statistically analyse the data derived from the survey to redesign their wellbeing practices. The digital ICT Gap - exploring international students ICT skills set to Australian university ICT requirements. Current Ed.D supervision:One computer per student: benefits and limitations.